When a website serves around 25 unique visitors a day we might be alright some latency/overhead as long as it’s not so slow as to be completely unusable. However the problem gets exponentially worse as you start talking about 300+ unique visitors each day (or worse, per hour). Depending on the web application this could also involve expensive computations that have to be perform and then redone repeatedly. This is the crux of the issue with “scaling up” a web application. Subpar performance with a low demand application is tolerable, but as the application becomes more important, more people are going to use it and then inefficiencies that used to be tolerable stack up one on top of one another into larger issues. You can ease “scaling up” operations several ways: throwing more resources at the bottleneck, by workload shaping within the application, shaping at a system level, or you can attempt to lower the transaction costs of your more CPU or I/O intensive operations. We’re going to concentrate on the latter. Specifically we’re going to explore speeding up backend processing by using redis to store arbitrary data structures in memory for later retrieval by similar operations in the future. When possible, caching application data structures is usually preferable to full page caching or the caching of blocks of HTML by a proxy server (such as Squid or Varnish) or FastCGI caching (as with nginx). This is because data structures are often re-used between pages/screens while varnish or nginx will treat each response as potentially unique to the given request and issue unnecessary calls to backend resources when it should already have the data needed to generate the webpage. This article is written with the expectation that readers will skim the headers for stuff that looks interesting or relevant to them (because many will). So you should read the general sections but should only need to read the non-CLI language-specific sections that pertain to the web app you’re trying to create. Redis is an in-memory key-value store with optional disk persistence. According to their website it’s also used as a application message broker and “database” (whatever that means) but the majority of Redis deployments seem to be as in-memory caching of an application’s most expensive data structures. For this reason, I’ve assumed that beyond setting/getting data, you’re probably also interested in setting an expiration so that stale data is purged automatically. Going over three possible means of getting redis installed. Unfortunately, unlike Ubuntu, Red Hat doesn’t separate the redis command line utilities out from the server process. so even if you went with docker above, you still need to install the redis package, you would just skip the service configuration steps. In the above example, I connected to the redis instance and retrieved a pre-existing key. Redis allows many commands to be queued and issued at once. This enables applications written in higher level languages to atomically perform many independent operations at once. This reduces the number of TCP round trips required for a single transaction and helps improve the scalability of applications that use redis. SET "firstPipeKey" "First CLI Value"
994.55.193.122:6379> SET "secondPipeKey" "Second CLI Value"
994.55.193.122:6379> SET "thirdPipeKey" "Third CLI Value"
In the above, we could have issued a DISCARD instruction at any time before the EXEC and all queued operations would have been discarded. Without delving into Flask or Django, we’re going to write a simple shell script that shows how you connect to redis from python generally. If you’re running a web application in one of the above frameworks, taking the steps here should be relatively easy. In the example above, I had the redis instance running on a different IP than localhost so I had to override the host= parameter when instantiating the class to point to the IP/hostname of the redis server. Similarly you can use port= to change the port number, or db= to change the database you’re connecting to. It’s worth noting that on the backend a connection pool will be created but a connection to the remote service won’t happen until you begin actually using redis in your script. You can see that we use our connection object to redis to create a pipeline object pointed at our redis server and database. This object is also returned with each get and set operation. Once executed it returned a list of values, ordered according to how they were issued, of all the return values that would have been returned if we had ran the executed commands synchronously. Please note that the default behavior of the redis-py module is NOT to perform pipeline operations atomically. If you need the operations to be wrapped in a MULTI/EXEC block when communicating to the server you need to call .multi() on your pipeline object (redisPipeline.multi() above) in order to switch the pipeline into “buffered” mode where changes can be discarded at any time. Similar to the above, I’m not going to show any examples within Sinatra or Rails even though redis is primarily useful for web apps. The generic examples here should be easily replicable within the context of any decent framework you could be running within. keyValue = redisConnection.get("newKey") ? redisConnection.get("newKey") : "No Key With That Name"
The above script sets a temporary value at newKey which expires in 15 seconds. We then print the value redis is returning for that key, wait 16 seconds (to allow reclaim and avoid a race) and attempt the same retrieval. If you run the above locally, you should see it able to issue a successfully .get method call the first time but not the second time. redisConnection.set "firstPipeKey", "First Ruby Value"
redisConnection.set "secondPipeKey", "Second Ruby Value"
redisConnection.set "thirdPipeKey", "Third Ruby Value"
If you read the python section you’ll notice this is is functionally analogous to our python pipeline. It works in ruby much the same way except where the equivalent of .execute() is implied when the iterator block ends. The above script sets three keys at once asynchronously and then uses a synchronous .get call to retrieve the values from the server. The same as the Ruby or Python examples (if you read those sections) the above script merely sets a new value at newKey and sets it to expire (or “timeout” in the PHP’s case) in 15 seconds. We then immediately retrieve the value from the server, then pause for 16 seconds before attempting to retrieve it again. If you get a value the first time but not the second time everything worked as expected. Remember: Cache misses are expensive, so your number one goal when implementing any sort of caching mechanism in a software stack is to end up with many cache hits and very few misses. Try to restrict your use of Redis to operations that are either taking too long or generating too much load. The more you have to communicate with Redis, the busier it’ll be. If the operation isn’t particularly expensive, just do it on each request. If you begin putting low traffic items into your cache you’ll reduce overall system performance by forcing your application to check for the existence of an item that will hardly actually ever be there already. In-memory databases like memcached and redis have little to no security mechanisms. Neither has a particular strong sense of “user.” They each have users obviously, but the notion is not well fleshed out. Password protection in Redis is more appropriate for concerns about about system stability than actual security (i.e keeping honest people from accidentally using the wrong thing). Redis doesn’t support any form of encryption natively. The recommendation of Redis Labs is to use a third party tools to proxy the connection from trusted to untrusted networks. This also means passwords sent to Redis are sent in the clear (again why it’s a stability mechanism and not a security one). For these reasons, you should only expose Redis to systems that actually need to be able to access it. You may have calls to Redis where they don’t need to be or they’re missing from where they need to be. You may also have to migrate to a Redis cluster or add a node to an existing cluster. For ad hoc monitoring, you can use the info stats command inside of redis-cli and check the values for keyspace_hits and keyspace_misses to see what your hit ratio actually is. Redis Command Reference since your needs may be more complex than the SET/GET/EXPIRE shown above. 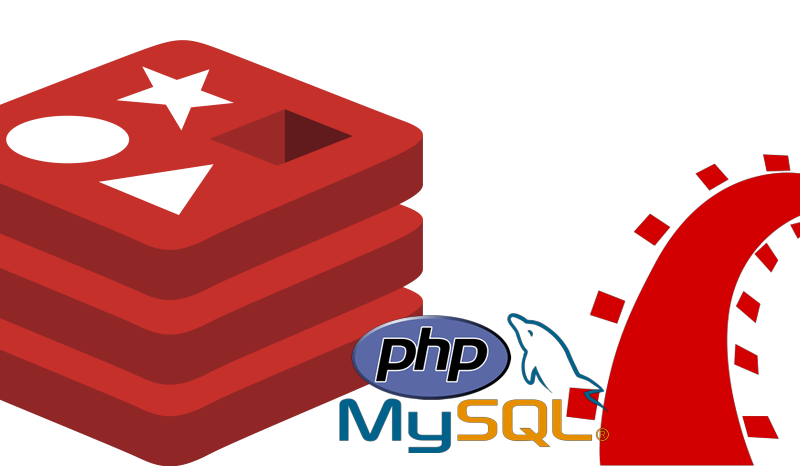 phpredis :: PECL extension for Redis client operations in PHP.